Huawei won't be banned from working in the EU, but countries urged to take care building their 5G infrastructure. It seems as US calls for Europe to ban Huawei from building its 5G network has fallen on deaf ears, at least partially. According to a Reuters exclusive, the EU will not take US advice and ban Huawei, but it will increase its vigilance when it comes to 5G and cybersecurity. European digital chief Andrus Ansip will present the EU's recommendations to member states on Tuesday. These recommendations will base on an idea of more intel sharing between EU member states, so that they may be better organised, prepared, and secured for any security-related issues revolving the upcoming 5G tech. Reuters reminds that these recommendations are by no means legally binding, but they may serve as a basis on which individual states may form their own legislation. “It is a recommendation to enhance exchanges on the security assessment of digital critical infrastructure,” one of the sources told Reuters. None of this would have happened if the US hadn't accused Huawei of possibly working with the Chinese government. 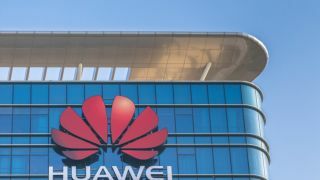 The US believes if Huawei builds 5G infrastructure for EU countries, it may install backdoors which the Chinese government could use for vital intelligence gathering. Basically, China would have eyes and ears everywhere. Huawei has denied the accusations multiple times, saying they are baseless and asked for proof. It has also called EU diplomats to supervise its work in the continent, to basically see for themselves if Huawei is doing any shady work or not. It said it's not cooperating with the government, was never asked to, and would decline even if it did.